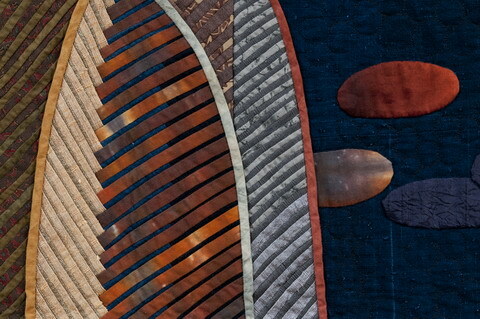 Statement: This was made for the 5th tour of the Manhattan Quilters Guild, which required a 91 cm square shape. My inspiration came from a woven bamboo vase. It was very difficult to create the curves within the large shapes suggesting bamboo strips in such a way that they appear natural.